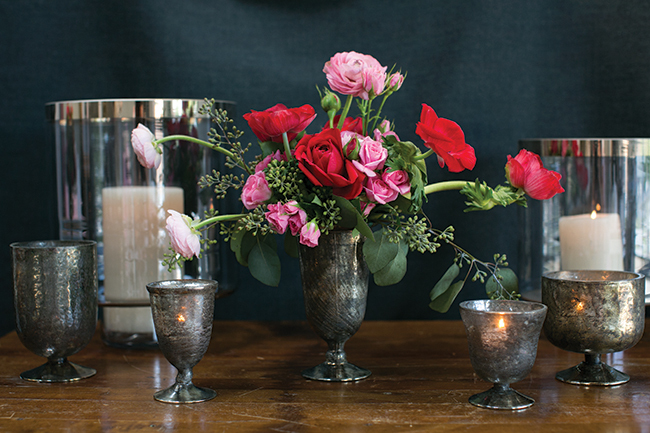 For most, February 14, represents a holiday to take a little extra time out and remind your loved ones just how much love you have to share with them, but for a lot of florists, it’s one of the busiest (and let’s be really honest – stressful) days of the year, and ordering product and flowers for the Valentine rush after you’ve barely recovered from the winter holiday festivities is really a honed skill for dedicated business owners. 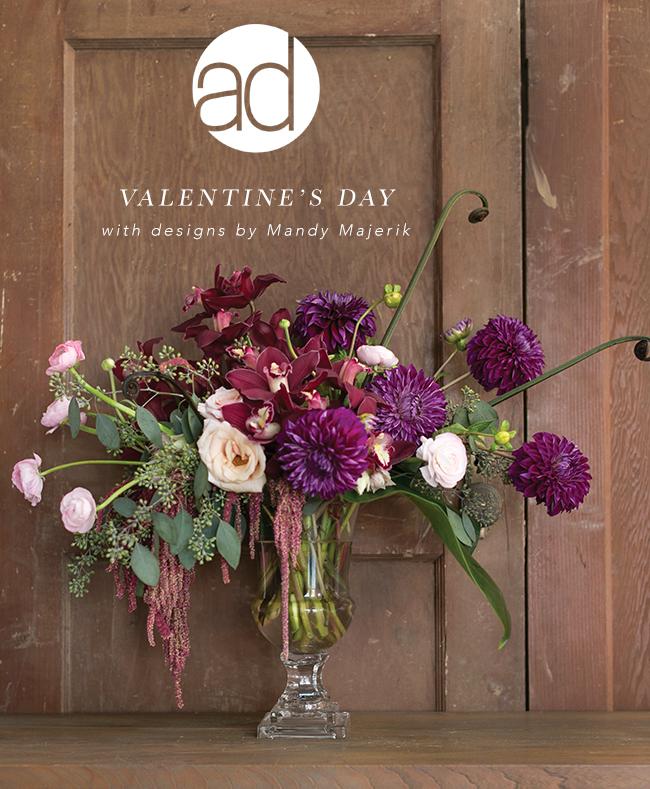 This season, we teamed up with Mandy Majerik of HotHouse Design Studio to create an inspiring Valentine’s Day mailer that we hoped would spark a new-found love and unique approach to this heart-heavy holiday. 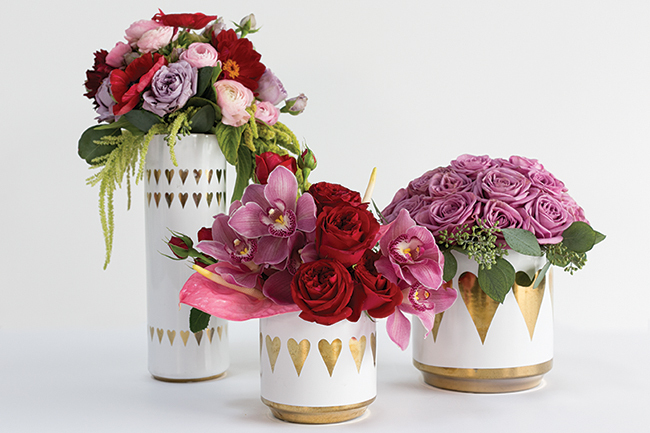 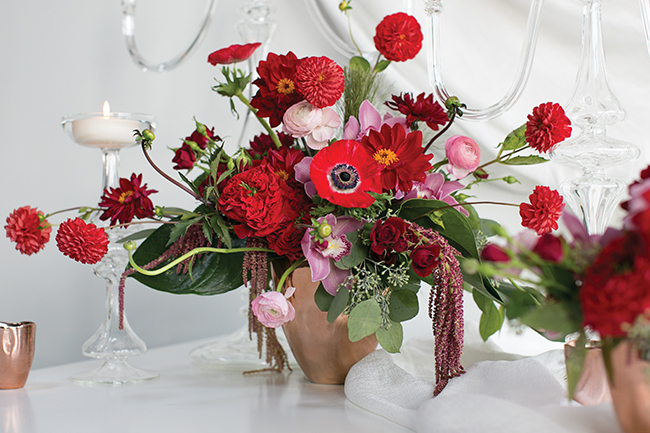 Mandy filled our V-day container picks with modern, yet romantic, floral arrangements filled with flowers such as attention-grabbing red poppies that contrast well against soft, blush ranunculus. 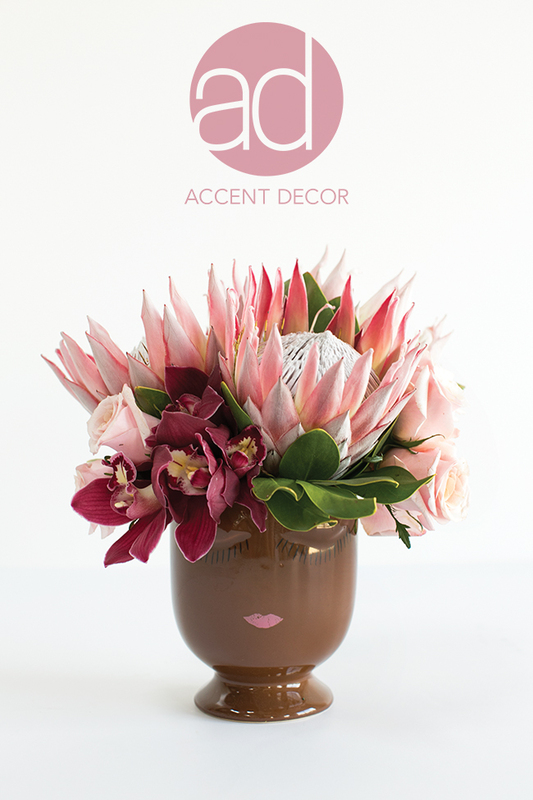 She also let loose with our celfie collection, creating beautiful floral headpieces for our popular face vases! 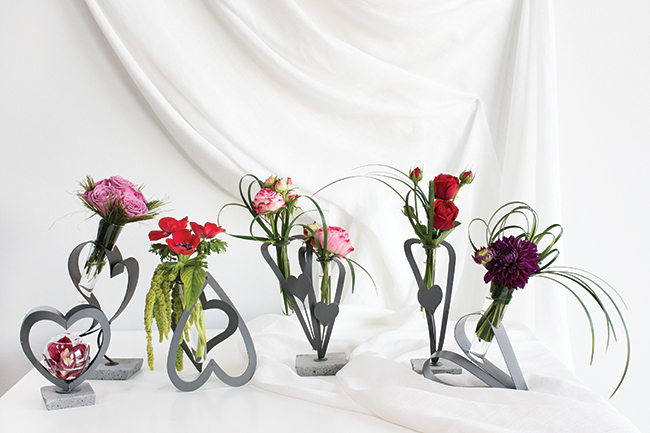 We also wanted to feature some newer product with a modern heart motif, and Mandy really delivered in our newest spade pots and white heart stands. 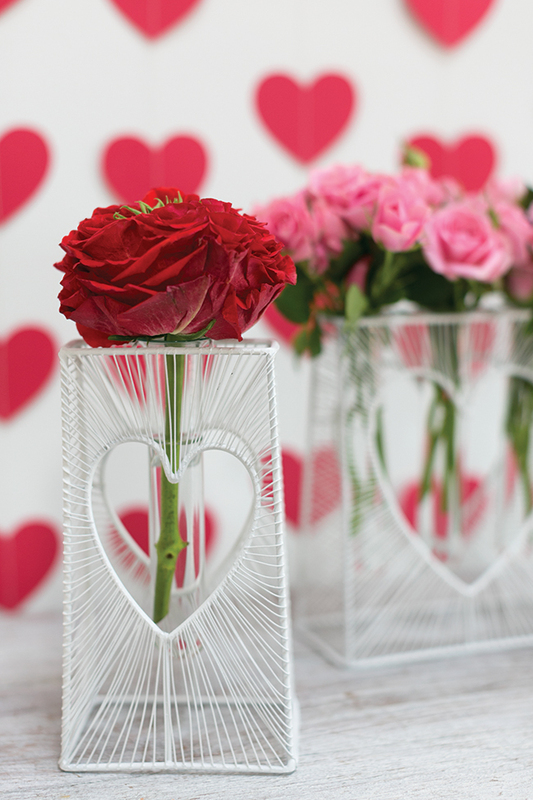 and shop our Valentine’s Day collection!